Taipei, July 25 (CNA) The Ministry of National Defense (MND) said Tuesday that Taiwan will not take any action that could start a war with China but at the same time will not back down from any threats. 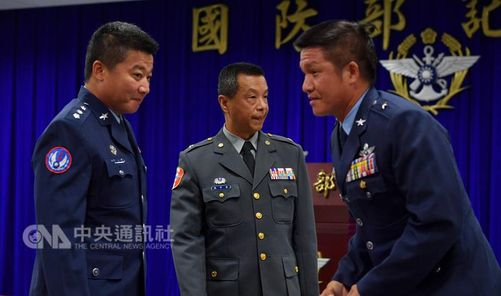 China’s military has never given up the idea of using armed force to resolve the Taiwan matter, MND spokesman Maj. Gen. Chen Chung-chi (陳中吉) said at a press conference, addressing the issue of China sending military aircraft close to Taiwan recently on what the Chinese described as training missions. On three different days over the past two weeks, several Xian H-6K bombers from the People’s Liberation Army of China flew over the Miyako Strait, passing east of Taiwan. The Miyako Strait, which lies between the Japanese islands of Miyako and Okinawa, is part of Japan’s exclusive economic zone but includes a narrow band of international waters and airspace. Last Friday, the MND released photographs showing two Chinese H-6K bombers, one of which was being tailed by a Taiwanese Indigenous Defense Fighter jet, in Taiwan’s Air Defense Identification Zone (ADIZ) in the East China Sea. At Tuesday’s press conference, Chen said all of Taiwan’s Army, Navy and Air Force intelligence units had been mobilized to monitor the movements of the Chinese military over the past two weeks and will continue to do so. If China’s military intrudes into Taiwan’s ADIZ again, Taiwan’s will safeguard its airspace and marine areas based on its rules of engagement for emergency situations in wartime, Chen said. Taiwan will neither act in a cowardly manner nor dodge any military threats, he said.